March not only brings beautiful spring weather to Austin, but it brings one of our favorite festivals, SXSW Music Festival. With thousands of bands coming in from all over the world, we decided to make it easy for you to find our local bands. 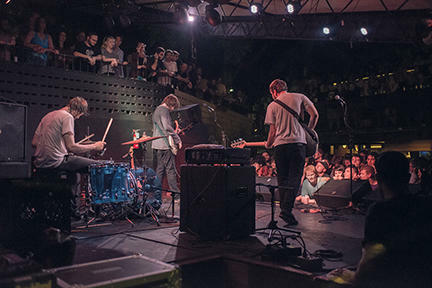 Check out our handy guide to know where to be, when for Austin music. Not sure what they sound like? You can listen to some of our Austin musicians on our Spotify playlist: Austin Musicians at SXSW 2015. Log in to your Spotify account or sign up for a free account to play. Looking for #Protips on how to navigate around town during SXSW, check out our friends over at Do512. Not sure what to wear? Were two steps ahead of you with our Austin Style Guide on Pinterest. Dont forget to follow @MusicAustin on Instagram and Twitter for all the latest and greatest #SXSWnews.